The down in our Gold Collection Hungarian Goose Down duvets has been certified A1 Grade, meaning it is internationally acknowledged as one of the best quality fillings in the world. So you can rest assured when we say our Gold Collection offers the most exquisite quality you will ever experience, we mean it. Not only does it offer the ultimate in comfort and luxury, but it drapes wonderfully around the body and is encased in silk-like cotton sateen. FABRIC: Sumptuously soft cotton sateen. FILLING: A1 Grade Hungarian Goose Down, internationally recognised as the best quality down filling available. All our natural fillings in our Emporium ranges are Downpass-certified. FINISH: Beautiful champagne-gold piped edges add extra elegance and durability. Finished with a premium corner sash. Invisible stitching / pocket construction for even filling distribution. 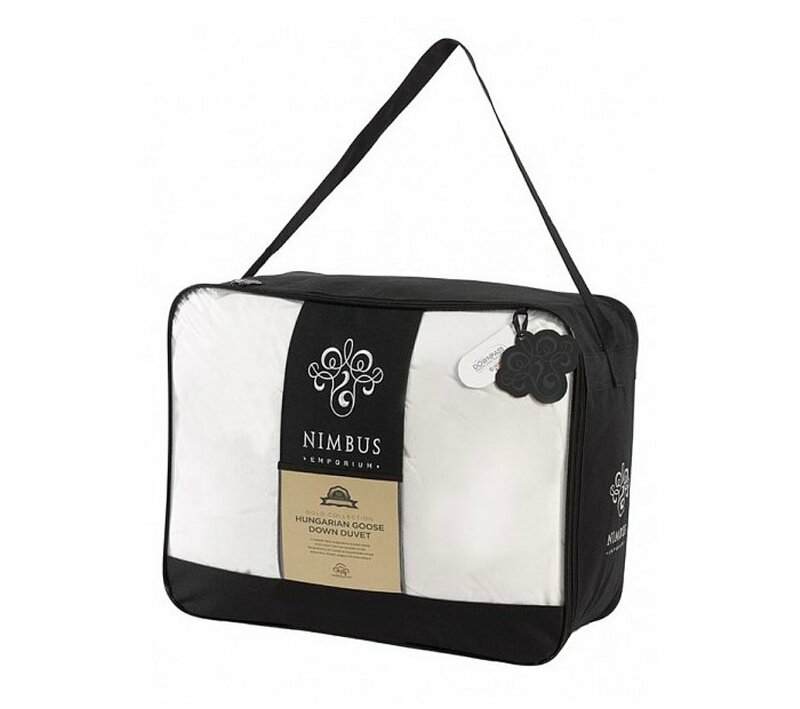 I would like more information about Gold Collection Hungarian Goose Down Duvet by Nimbus.